The US film director and choreographer Adam Shankman has just checked himself into rehab; the exact nature of his treatment is unclear. His close friend Zac Efron has twice entered rehab in 2013 for help with a cocaine addiction. Adam was seen the night before he entered rehab on the red carpet at an event in Hollywood, looking well and untroubled. The only comment from his representatives is that he is entering rehab to deal with an undisclosed issue, and his friends and family wish him a speedy recovery. How Did Adam Shankman End Up in Rehab? Adam Shankman has managed to stay out of the spotlight when it comes to wild parties and substance abuse. The 49 year old has had great success, most notably as the director of Hairspray and a Walk to Remember. He has also choreographed many videos for entertainers like Paula Abdul and the Spice Girls. In recent years, Adam has managed to reach a new audience thanks to his inclusion as one of the judges on So You Think You Can Dance? Adam Shankman has done a good job of keeping his private life private, but it seems obvious now that things have not being going as well for him as outside appearances might have suggested. So far, all his fans can do is speculate on the need for this type of treatment, but people do not generally enter rehab if things are going well. It may be that seeing his friend Zac Efron struggle to get his life back on track after substance abuse has encouraged Adam to do the same. Is Adam Shankman a High Functioning Addict? If Adam Shankman has entered rehab to escape alcohol or drug abuse, it is likely that he has been managing as a high functioning substance abuser. This means that he is highly skilled at maintaining an outside show of normality while engaging in excessive use of mind-altering substances. The reality is that most individuals who have become addicted to alcohol or drugs would fall into this category; in some ways, being a high functioning substance abuser can be more dangerous than being somebody who is obviously struggling in life. High functioning substance abusers tend to be far less likely to seek out help than the stereotypical addict is. There is far less pressure on this type of person to change their life, and they can use the fact that they are doing okay in life as justification to continue with their behaviour; individuals in this situation will often use the excuse of ‘work hard, play hard’. It can also be harder for a person who is doing well in life to admit to addiction problems because they may fear they have more to lose by admitting to it; they worry that it could harm their reputation. The fact that Adam Shankman is willing to enter rehab means that he can get the help he needs before addiction destroys his life. 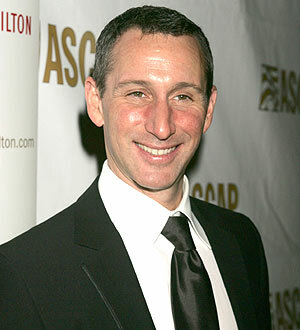 Adam Shankman is entitled to his privacy, but he has decided to let people know that he is getting help from rehab. Hopefully, he will benefit from the experience and will be able to overcome whatever demons he has been facing. Rehabilitation centres offer people the opportunity to not only break free of addiction, but to also develop a much more satisfying way of living. Adam may have lots of success in his life, but perhaps in rehab he will find the missing pieces to lead him to true happiness.